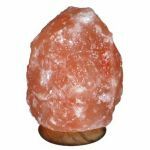 Himalayan Ionic Salt Crystal Lamps are not only beautiful, but their glowing hues of orange, promote calm and peaceful relaxation. 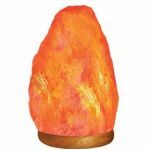 Many people say that when they use a Himalayan Salt Crystal Lamp as a night light, or just sit next to it, they become less stressful and more creative. This product makes for a unique and beautiful gift. 1. 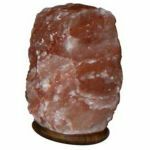 Our natural shape salt lamps are sold by weight, not by size. Natural shape lamps/candle holders are sometimes tall, sometimes shorter and unique in shape, yet still in the same weight class. 2. Premium quality unique salt lamps/candle holders from the finest salt crystals from foothills of the Himalayas. 3. There is no salt in the world that compares Himalayan salt in purity and color. 4. Hand carved to retain unique natural look & beauty of salt crystals, so no two crystals are alike. 5. Heating the salt with a bulb or a candle creates an effect similar to an ionizer. This ionizing effect has many healthful benefits. 6. Heat of light/flame is dissipated within the salt, making the outside cool to the touch. Salt Lamps are sold by weight categories. 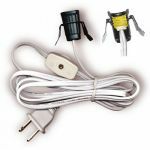 Because of the unique characteristics inherent in these products, no two lamps will be the exact same. Minor difference in size and weights is normal and expected.